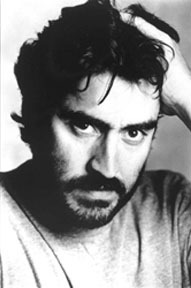 Alfred Molina is a long-time character actor, best known for playing villains in movies and TV. He played the four-armed Doctor Octopus in Spider-Man 2, the drug-dealer in Boogie Nights, the furious gay lover in Prick Up Your Ears, and a skirt-chasing Diego Rivera in Salma Hayek's Frida. His first memorable film appearance was as the tomb raider who lied to Harrison Ford at the beginning of Raiders of the Lost Ark. "Throw me the idol", he said, "I'll throw you the whip". Molina's father was a Spanish communist, his mother an Italian maid, a combination which has given Molina an oddly indefinable ethnicity. He has played a Mexican in Frida, a Frenchman in Chocolat, a Russian in Letter to Brezhnev, an Iranian in Not Without My Daughter, and a Cuban in The Perez Family, but Molina is utterly English.